The University of Southampton is leading one of three major research projects that make up a £4.5 million investment from the Engineering and Physical Sciences Research Council (EPSRC) to safeguard the UK’s water, energy and food security. With the world’s population due to grow to eight billion by 2030(1), humanity is facing a crisis, with predictions of increasing demand and shortages of water, energy and food. Water and energy are needed to produce food; water is required to produce energy and with the advent of biofuels, energy and food are increasingly competing for land. This means that any shortage or disruption of one resource will impact on the other two. 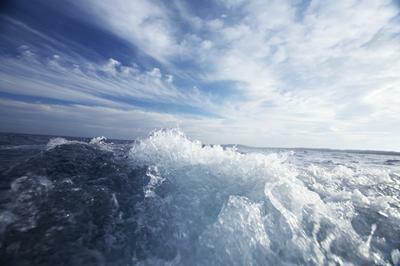 The unbreakable link between all the resources is known as the water-energy-food nexus. Research into the water-energy-food nexus will be conducted by inter-disciplinary groups of scientists based at 19 universities and research institutes, with support from the Science and Technology Facilities Council’s Scientific Computing Department, to tackle these challenges. Southampton will lead one of three research projects funded through the Living with Environmental Change sandpit(2) called ‘Vaccinating the Nexus.’ It will focus on improving the resilience of water, energy and food systems by investigating how nexus ‘shocks’, such as extreme climatic events that cause flooding or drought, energy shortages, or unsustainable infrastructure development, may help inform the development of more environmentally sustainable and secure systems. The £1.6 million project will use information collected during the recent flooding on the Somerset Levels to model the potential for alternatives flood resistant agricultural systems, including those used to produce bioenergy crops. Planning decision support tools will be developed to help form an environmentally sensitive approach to deliver the UK energy and water infrastructure plan. Dr Paul Kemp, Director of the EPSRC Centre for Doctoral Training in Sustainable Infrastructure Systems, at University of Southampton will lead the project. He said: “Exploitation of any single resource in isolation can have negative impacts on interconnected sectors and more widely on our natural capital. We are facing unprecedented demand on our water, energy and food systems and “business as usual” is no longer an option. “To ensure future security of supply, we need to develop innovative approaches to environmentally sustainable resource management. This can only be achieved by adopting creative interdisciplinary approaches to develop solutions to the complex challenges faced”. The other two projects, led by the universities of Glasgow and Manchester, will: produce nexus models that describe interdependencies in the nexus systems using case studies in Devon, Oxford and London (led by Glasgow); and identify UK examples of existing structures or initiatives with low impact across water, food and energy systems and investigate how the conditions that make them work can apply in other settings (led by Manchester). All three projects are studying the nexus within the UK, while recognising the external pressures, so that the expertise and knowledge can be transferred in an international context. "These projects are a great opportunity for scientists with expertise in different disciplines to come together to find solutions."